This is the companion blog article to my video on YouTube. A second part with a practical application will follow. This is my favourite "no worries" solution. 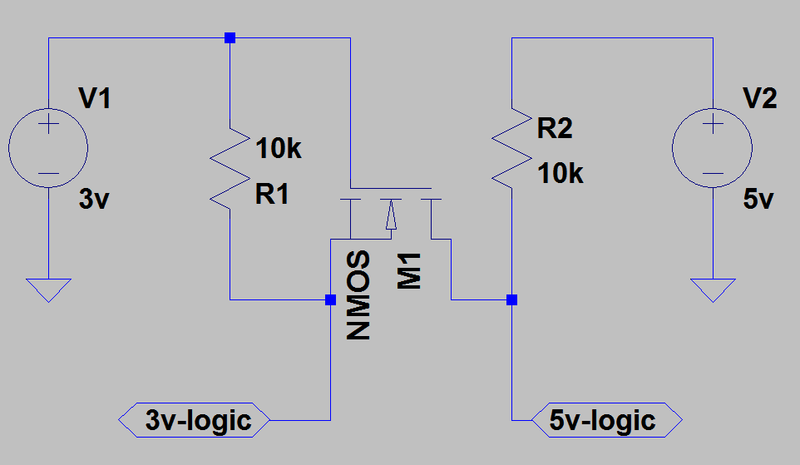 These modules provide 4 bidirectional lines. 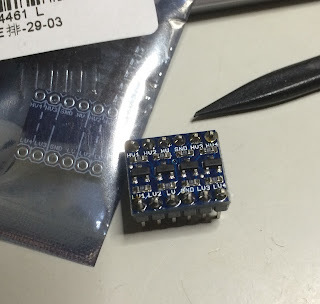 Enough for most of my little projects and more than enough for a serial connection between an Arduino Uno and a ESP-01 module. These level converters can be obtained for cheap from here. 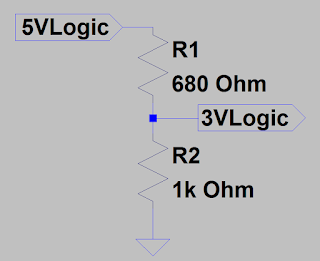 Not bidirectional but also a very clean solution is this voltage follower. 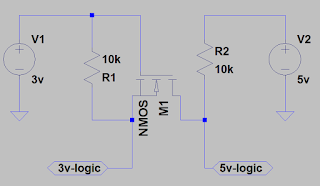 The output level follows the input signal but only to the point when it reaches the supply voltage. I.e. 3V in this case. 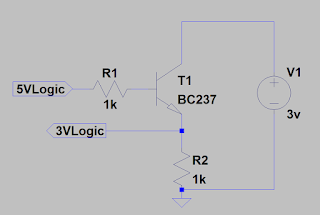 The popular 2n2222a transistors will serve the same purpose and can be bought here. 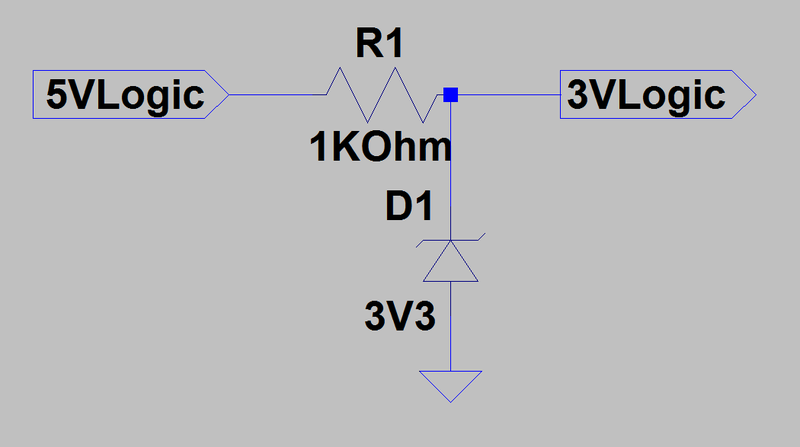 Here is a link to a set of zener diodes. By far the cheapest option for a quick hack. 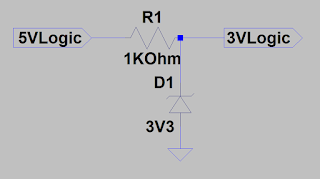 The classic voltage divider. 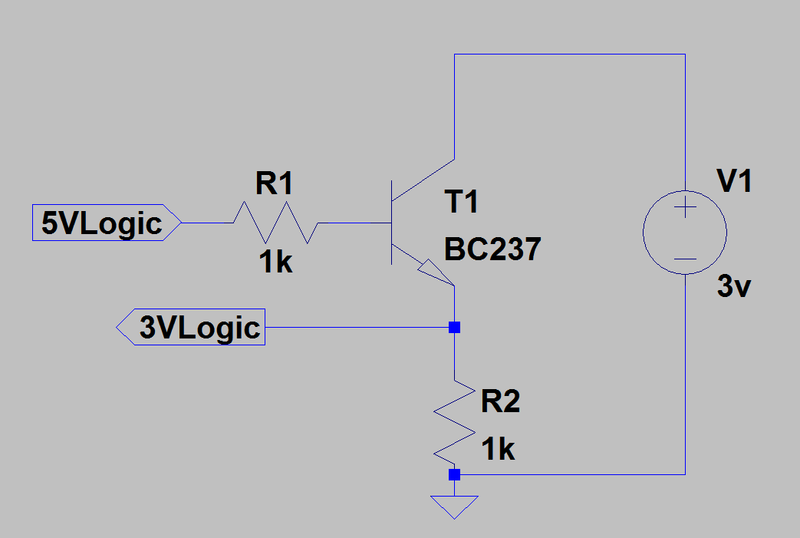 It does not provide any additional protection against voltage surges, but where those are not to be expected, you'll easily get away with that simplest of circuits. 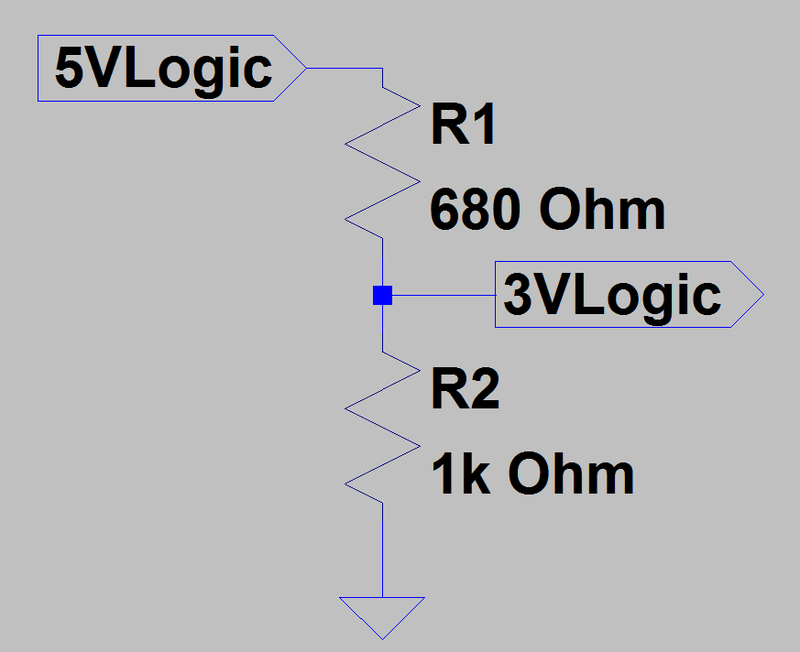 Resistors are dirt cheap and you should always have some available. Here is a very basic set.